This is a really fun little camera I picked up at Albertson’s on closeout for $19.99. I like my Canon Powershot S100, but it’s a little slow to shoot – you need to wait a few seconds for the camera to power up, extend the lens, read the CF card, and then it’s ready. Press the shutter and there’s a significant lag while the camera focuses. It’s bigger than the Sipix Blink, but I’ve lost dozens of pictures the few times the Blink camera crashed. The memory is volatile, so remove the battery and the pictures are gone. 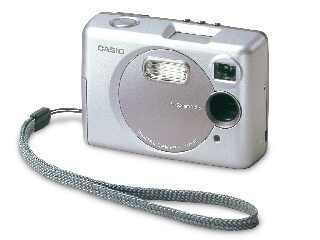 With the Casio, the pictures remain when the batteries are removed. The LV-10 is a true point-and-shoot. As soon as you turn it on, it’s ready. As soon as you press the shutter, it’s got the shot. There’s no lag while it writes to the card, and the camera makes a pretty decent webcam, too! It runs for close to 2 hours on 2 AA batteries, and it loves rechargeables. It’s a must for any bookbag, backpack, or cargo pocket. All works on this site copyright © 2019 Kurt Weiske.